The Telecom Infra Project Community Lab is a global initiative founded by Facebook, Deutsche Telekom, Intel, Nokia and SK Telecom. It is aimed at creating a new approach for building and deploying telecom network infrastructure. Airtel has announced the launch of its Telecom Infra Project (TIP) Community Lab. The lab is a global initiative founded by Facebook, Deutsche Telekom, Intel, Nokia and SK Telecom to create a new approach to building and deploying telecom network infrastructure. Airtel is converting a part of its engineering centre for Network Excellence in Manesar into a TIP lab. It will be used for creating solutions for telecom networks. Bharti Airtel (“Airtel”), India’s largest telecommunications services provider, today announced the launch of India’s first Telecom Infra Project (TIP) Community Lab. 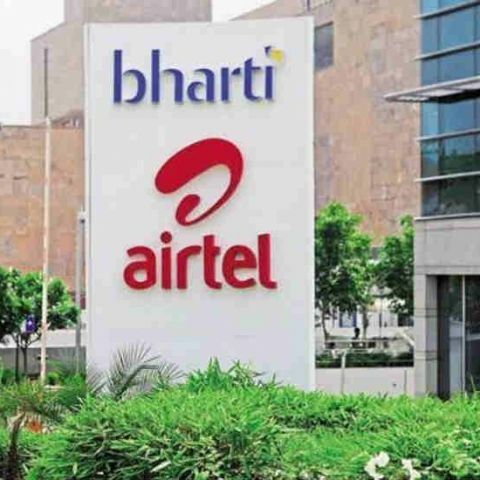 Airtel is amongst the early members of TIP – a global initiative founded by Facebook, Deutsche Telekom, Intel, Nokia and SK Telecom to create a new approach to building and deploying telecom network infrastructure. Airtel is demonstrating its commitment to TIP’s efforts by converting a part of its engineering centre for Network Excellence in Manesar (Gurgaon) - its lab for validation and demonstration of new technologies and solutions - into a TIP Community Lab. The fully equipped state-of-the-art facility will be used by TIP project group members to create innovative solutions for telecom networks. “Having been at the forefront of India’s telecom revolution, Airtel is excited to extend its network innovation facilities to the growing TIP Community Lab program. We look forward to collaborating with other TIP members in creating innovative network infrastructure solutions for the future, and quickly and cost-effectively expand the reach of our networks to serve customers with exciting and disruptive solutions,” said Abhay Savargaonkar, Director – Networks (India & South Asia), Bharti Airtel. Founded in February 2016, TIP is an engineering-focused initiative driven by operators, suppliers, integrators, and startups to disaggregate the traditional network deployment approach. The community’s collective aim is to collaborate on new technologies, examine new business approaches and spur new investments into the telecom space. “We look forward to working with Airtel to establish the first TIP Community Lab in Manesar. Our community is re-imagining traditional approaches to network deployment everywhere, and this lab can accelerate the development of innovative solutions for achieving this goal. TIP members can take advantage of this facility to refine new products, technologies and solutions, from proof of concept, through trials and ultimately deployment,” said Axel Clauberg, TIP Chairman and Vice President, Technology Innovation, Deutsche Telekom AG.